Want to Learn How to Be an Expert in Vaping? More and more people are turning to vaping as an alternative to traditional cigarettes. Vaping can be an effective way of weaning yourself off normal cigarettes, and some people use it as a way to gradually reduce their nicotine intake, or even to use other, non-nicotine products. 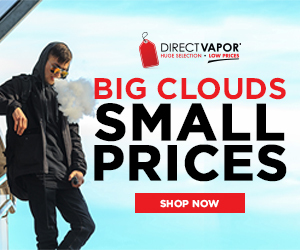 Getting started with vaping doesn’t have to be complicated, but if you browse an e-cig store it can be easy to feel overwhelmed with the sheer range of products and accessories that are available. This quick intro to vaping will give you an idea of why it is so popular, and what makes most people enjoy it so much. Traditional nicotine products (cigars, cigarettes, etc) can be incredibly harmful to your health. Quitting smoking is difficult, and many people find that vaping helps to reduce their daily nicotine intake, so it’s easier to cut down and eventually quit. The initial outlay to get started with vaping looks expensive, but even for someone who vapes quite regularly it works out cheaper to vape than to smoke cigarettes, so the kit will pay for itself quite quickly. Traditional cigarettes are loaded with chemicals that are terrible for your lungs. E-cigs, on the other hand, are made with a much shorter ingredient list. The jury is still out when it comes to how ‘safe’ vaping is, but most supporters of vaping believe that it is much safer than traditional smoking. Yes, it is probably better to not vape than to vape e-liquids, but if the choice is e-liquids or cigarette smoke, then e-liquids lack many of the dangerous substances that are in a cigarette. E-liquids tend to taste, and smell, better too. Many people find that vaping becomes a satisfying hobby for them. It gives them the freedom to play with different flavors, and also to experiment with making their own juices or making their own mods. You’ll learn about electrical circuits, and can play with different coils and materials too. How Our Guide and Resources Can Help You! Vaping is generally more socially acceptable than smoking. While you shouldn’t be doing it on airplanes or coaches, you can often do it in other places where smoking cigarettes is considered to be rude, or is completely forbidden. Vaping doesn’t leave behind the same odor that cigarettes do, which means that many landlords – and even hotel owners – allow, where they may ban traditional smoking. Our guides can help you with places to vape, what the best products are, tips, how to’s and much more. Someone looking to vape e-liquid only should consider buying an e-liquid vape pen. This type of vape pen only works with e-liquid and will not work for concentrates or dry herbs. The reason for this is that the heat settings are not high enough to vaporize anything but liquids. When it comes to vaping there are lots of tips you can follow to advance quickly from a beginner to a more advanced user. This comes with learning about the products and time. As you start to vape more and learn more about the different types of Mods, Tanks, Pens and Accessories, you will easily find yourself becoming a more advanced user of vaping. It’s important to have the latest information on all laws that affect vaping. We’ve compiled the latest laws in all 50 states for you. Find out more information in regards to your specific state and what they allow and don’t allow for vaping and where you can vape.